Know a Good Candidate for FCIL-SIS Vice Chair/Chair Elect? The Foreign, Comparative, and International Law Special Interest Section (FCIL-SIS) of AALL is still seeking nominations for Vice-Chair/Chair-Elect and Secretary/Treasurer. The position of Vice-Chair/Chair-Elect requires a three-year commitment, as Vice-Chair/Chair-Elect, Chair, and Immediate Past Chair, and will be expected to attend the AALL annual meeting the first two years. 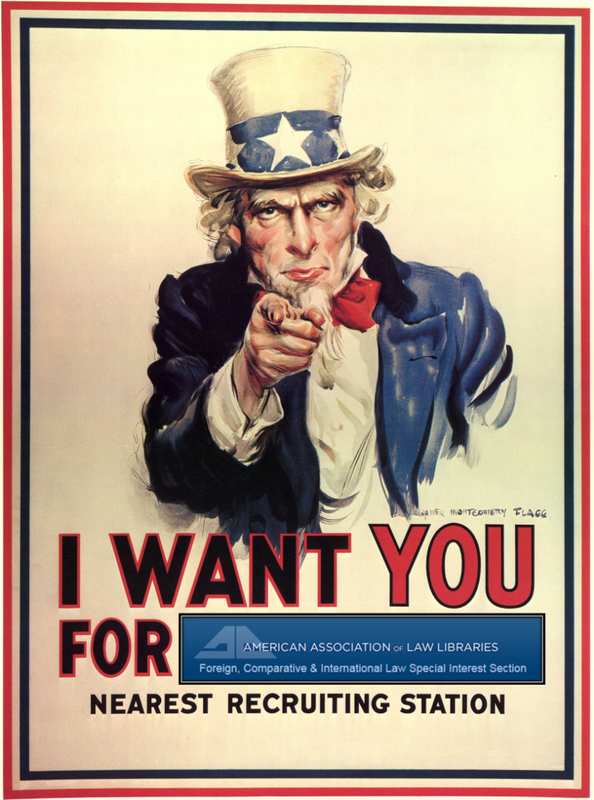 The position of Secretary/Treasurer requires a two-year commitment, and the holder of this office is expected to attend the AALL Annual Meeting both years. More information is available in the FCIL-SIS Bylaws. Please be sure to first confirm the interest of anyone you would like to recommend for either position! Self-nominations are also welcome. Nominations are due by Thursday, December 15, 2016.